Review: Reso returns to his 140 roots with this obscene four track stack of uncut sludgy gully on Albion. 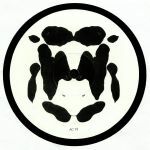 Three originals, one killer remix, it all kicks off with the treacle-like dollops of bass on "Focus Inwards" before we slide woozily into the thick prang soup of "Smashed Up" and get fast tracked to Hades HQ on an industrial lift called "The Essence". Throw in a divine rolling refix from TMSV and you've got one of Albion's strongest plates right here (and considering the earthquakes levels of Taiko's release last year, that's saying something!) Time for some deep focus. Reso - "Voice From A Distance Star"
Review: Whilst now widely regarded as a towering institution of the drum and bass world, there was a time when Hospital Records' uniquely melodic brand of "disco D&B" was thrillingly cutting edge. 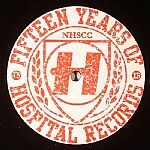 Tony Colman's label drops this second vinyl sampler to accompany their impressive Fifteen Years of Hospital double CD compilation which sees the boundary smashing Reso line up for twelve inch duty with the ever excellent S.P.Y. Londoner Reso is no stranger to gnarly, corrosive productions and "Voice From A Distance Star" ranks alongside his most impressive tracks, effortlessly melding foundation worrying bass with dubstep swagger. It's matched by "Untold Future", S.P.Y. 's contribution on the flip which is typically dystopian in tone, unfurling into a noirish, tightly wound sci fi roller of the highest order.